You do need to perform some due diligence in terms of the sportsbook you select. 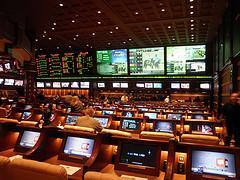 Thus, it’s worth examining a few helpful criteria in order to determine how to select the right sportsbook for you. As in any industry, there are a lot of fly-by-night operations that will take your money today and say goodbye to you tomorrow. The best sports books have been around for a while with strong track records and reputations. Look for a sportsbook that has been around for at least five years with few customer complaints. This brings us to the next point and it is a critical one. The best sports books provide excellent customer service. When you deposit funds, they should appear in your account in a timely manner. When you withdraw your funds, there should be no needless delays or glitches. And if you send an email, the sportsbook must respond quickly and thoroughly. And, they should make available access to a live operator during traditional business hours. If you’re serious about betting MLB baseball, you must have a sportsbook that deals a dime line. If you don't, you're just giving away money. A dime line is a betting line with a 10-cent straddle, particularly used in baseball. For example, with a dime line, if the favorite is minus -120, the underdog is plus +110. Here is an example of a baseball dime line you might see in a sportsbook. 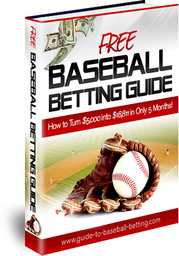 If you are searching for the best sports book for betting on baseball, be careful of sportsbooks that do not offer a dime line. Some online sportsbooks offer 15 or even 20 cent lines. While novice bettors might not see this as a great difference, these lines do not offer the value that you should receive in return for your business. A critical factor to consider when searching for the best sports book is the type of bettor the sportsbook targets. This answer will affect your bottom line more than you realize. Every sportsbook caters toward a different kind of sports bettor. The goal is to use this knowledge and take advantage of it. For instance, if you primarily bet on underdogs, then open an account with a sportsbook that consistently "shades" their lines towards favorites. Books that cater to novice bettors (also known as "squares") will have bad lines for favorites but good lines for dogs. If you're a high volume player, take a long, hard look at "reduced juice" sportsbooks. If you like to bet favorites, you may end up laying 20 or more points more on games. That’s when you might need an account with a "sharp" sportsbook that doesn’t shade their line based on what everybody else is doing. Sharp sportsbooks take plenty of underdog action so they’ll be less likely to shade their lines. If you only have an account at one sportsbook, you will have no choice but to either play the line offered or just don’t bet. Multiple accounts are an absolute must for the serious sports bettor. Bonuses and deals are always nice since you’re playing with the house’s money. How does all this work? There are a few ways but the most common is the sign up and deposit bonus. Let's say for a $300 initial deposit the sportsbook offers you a $150 matching bonus and a $50 new account bonus. That would be an additional $200 to wager with no risk. Granted, there are never any guarantees in terms of winning but it would be the house's money that you would be wagering in this case. Look for bonuses that are realistic and not overly generous. When they are a bit too generous, this might be a sign the sportsbook is having financial trouble and needs an influx of new customers. That may not bode well for you if you like fast payouts. The following are consistently ranked as the best sports books in the industry for sports betting. Find out if they are good for baseball betting as well.